A Belgian court upheld a ban of the ride-sharing app UberPOP on Thursday, giving it 21 days to cease operations in the country or face substantial penalties. The more expensive UberX service is unaffected, however. 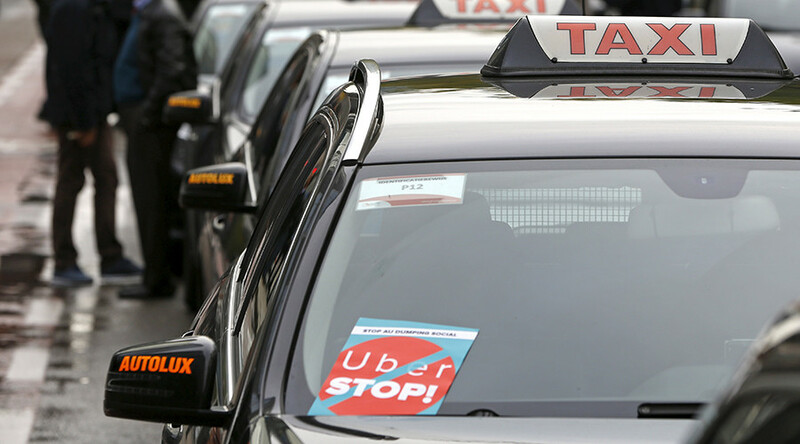 “We are looking at the implications of this ruling which hurts hundreds of our driver-partners and tens of thousands of people who have come to rely on UberPOP to get around Brussels safely and affordably,” Uber spokesperson Filip Nuytemans told AFP. He stated that the UberX service, which requires drivers to be professionally licensed, is not affected by the ban. The case, brought forth by taxi operator Taxis Verts, follows an April 2014 ban on the app which the company ignored. It is just one of many filings against UberPOP worldwide, as cab companies claim the service represents unfair competition. UberPOP is a cheaper and less regulated taxi service from the Silicon Valley start-up Uber, and is often in open violation of local laws. It relies on non-professional drivers using their own vehicles to transport customers across town. The decision from Belgium follows similar rulings by other European countries – including the Netherlands, Italy, Spain, and Germany – which have sided with taxi companies that claim the service does not follow local transportation rules. Earlier this week, France’s Constitutional Court upheld a national law banning the app. The company has been the target of fierce opposition since it entered the Belgian market in 2014. Just last week, hundreds of taxi drivers staged a large demonstration in central Brussels. A similar protest was staged in the Belgian capital in March, bringing traffic to a near standstill. Widespread demonstrations have taken place in other cities, as well. Earlier on Thursday, hundreds of Polish taxi drivers caused gridlock in Warsaw, the country’s capital, citing unfair competition from the app. In July, over 1,000 taxi drivers blocked the streets of Rio de Janeiro Brazil, parking their cabs to form a chain that stretched three miles (five kilometers) and blocked roads leading to the north, where both of the city’s airports are located. One month prior, riot police deployed tear gas during a Paris protest against Uber, as taxi drivers burned tires and blocked roads in the French capital. One driver was taken to the hospital after being run over. In May, taxi drivers marched through Mexico City, chanting “Uber Out!” and demanding city authorities ban the service. Over 2,000 angry taxi drivers staged a similar protest on the roads of Turin in February. Based in San Francisco and founded in 2010, Uber is valued at more than $40 billion. Its investors include Google, Goldman Sachs, and Benchmark, as well as the venture capital firm Kleiner Perkins Caufield & Byers.